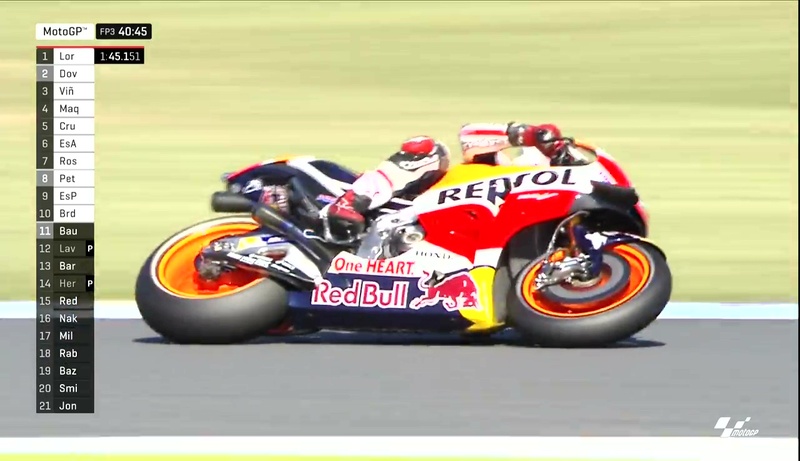 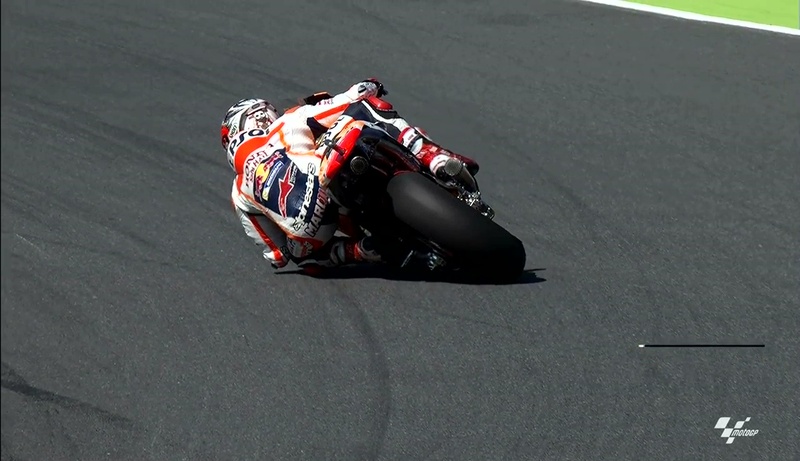 93 up, 99 down: Marquez tops FP3 as Lorenzo crashes out. 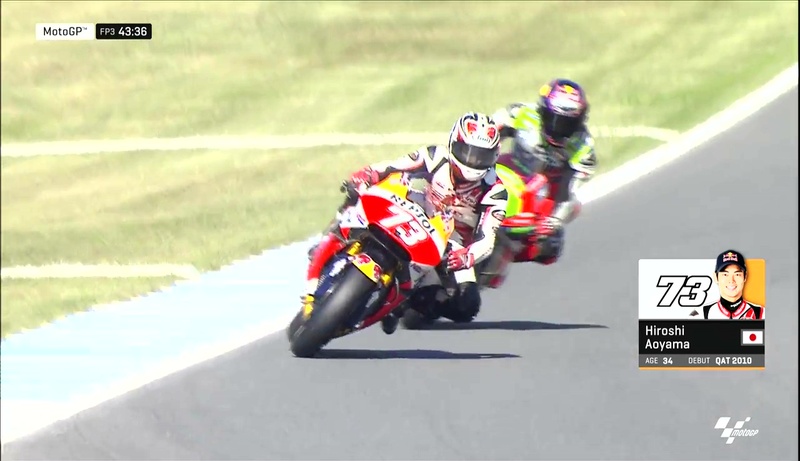 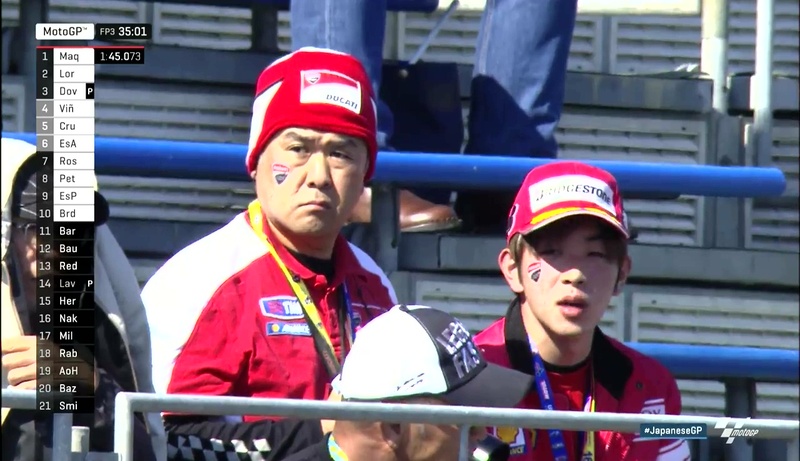 Another huge highside rocks Motegi with reigning Champion off at Turn 2. 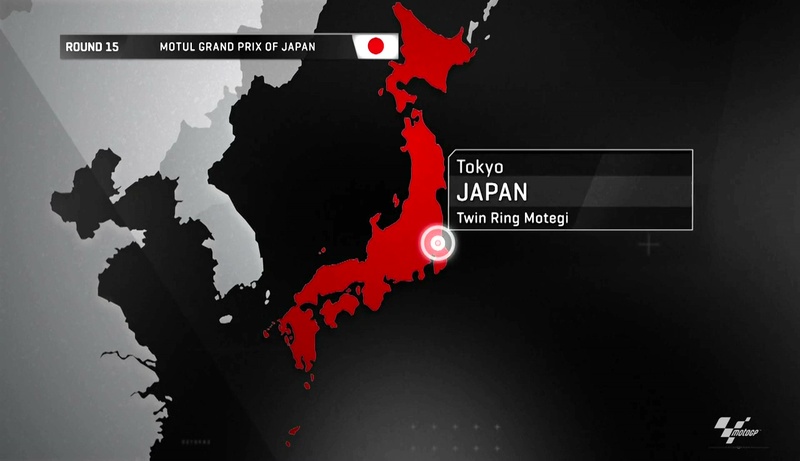 After Friday at the Motul Grand Prix of Japan saw Movistar Yamaha MotoGP rider Jorge Lorenzo top the combined timesheets by the end of play, title rival Marc Marquez (Repsol Honda Team) hit back on Saturday morning to take over at the top – with Lorenzo suffering a monumental highside in the session, the day after Marquez’ teammate Dani Pedrosa broke his collarbone and withdrew from the event. 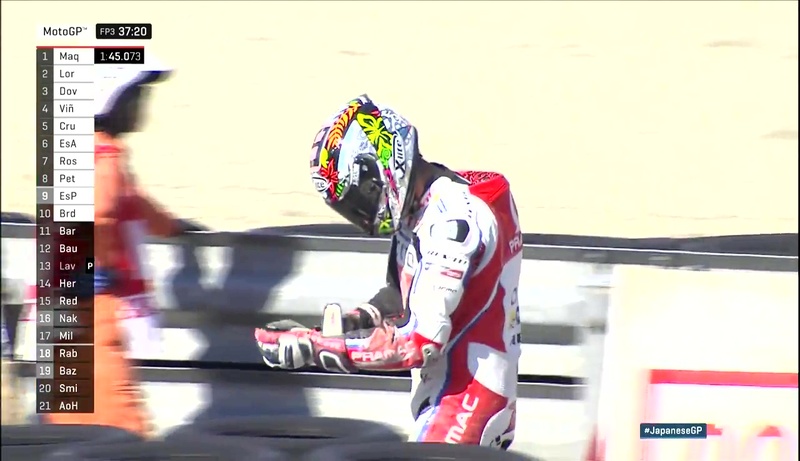 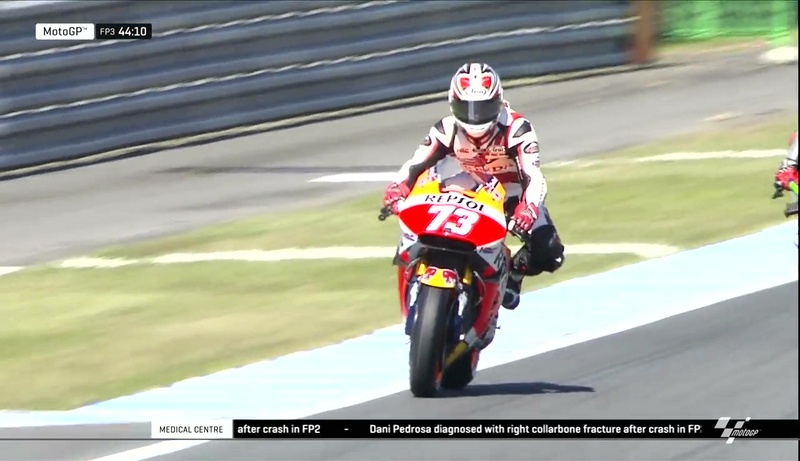 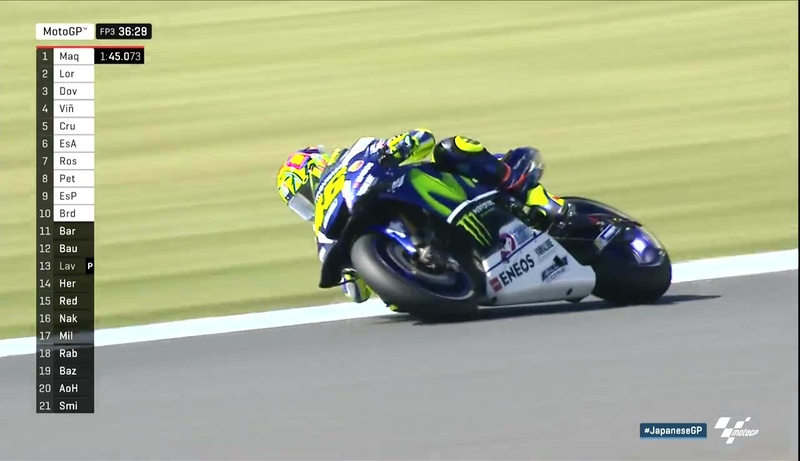 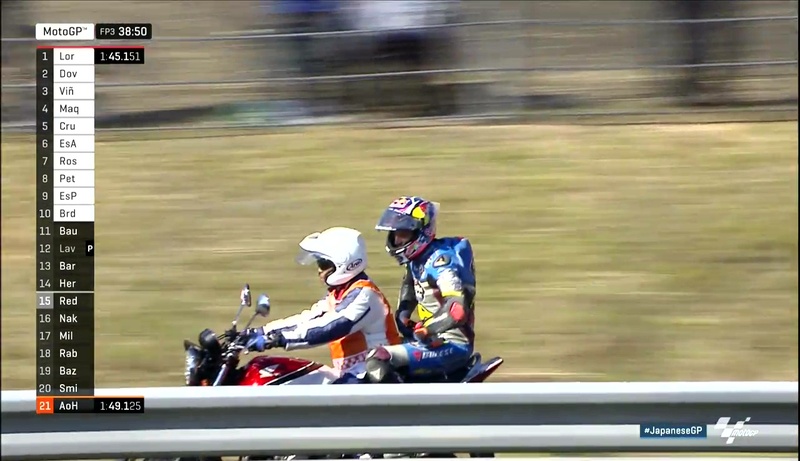 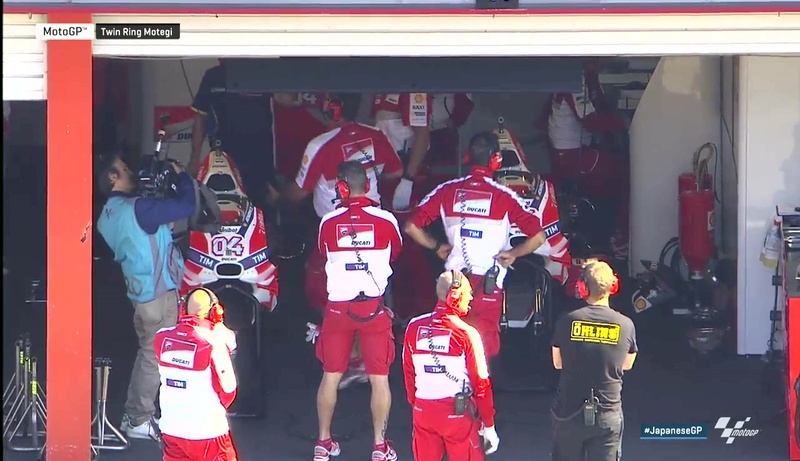 Lorenzo limped into the Medical Center unaided, before being taken to hospital for a CT scan. 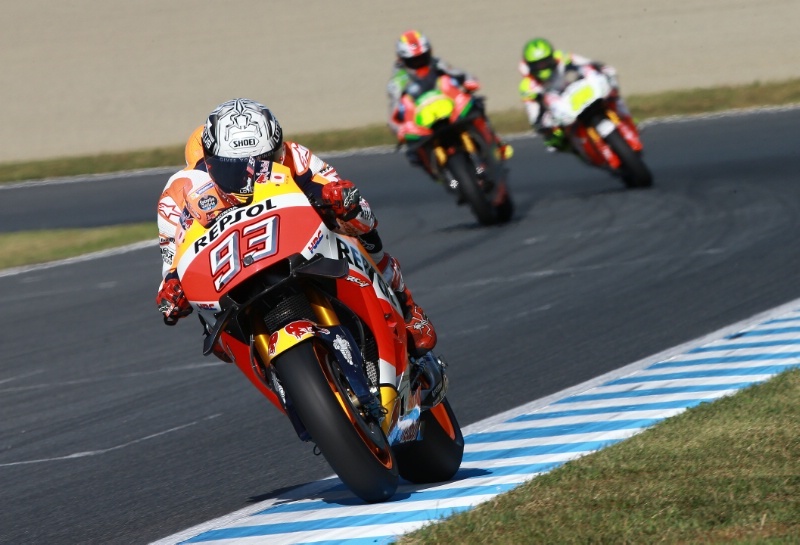 Declared fit upon returning to the circuit, the ‘Spartan’ will carry on in his quest to take a fourth premier class win at Motegi. 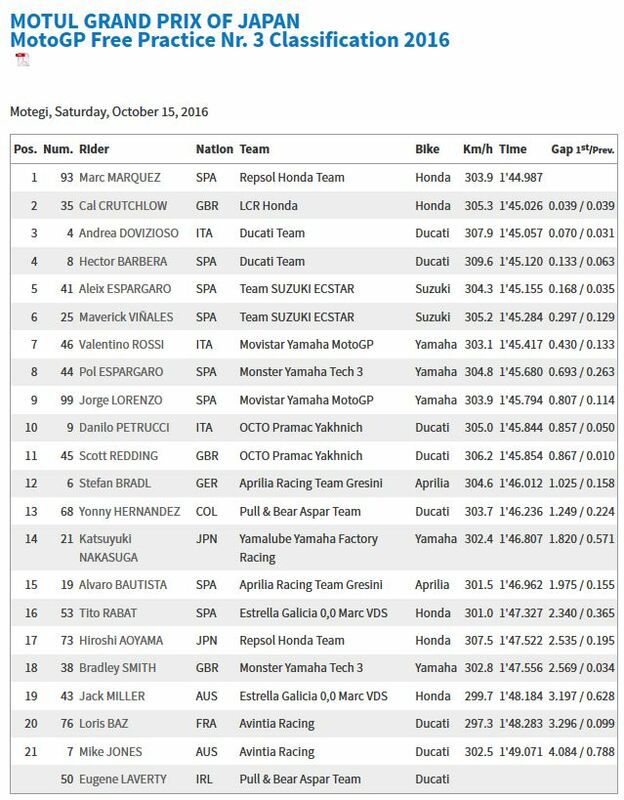 Cal Crutchlow (LCR Honda) had a good Saturday morning to get closest to Marquez’ time, with the Ducati Team riders of Andrea Dovizioso and Hector Barbera right behind the two leading Hondas. 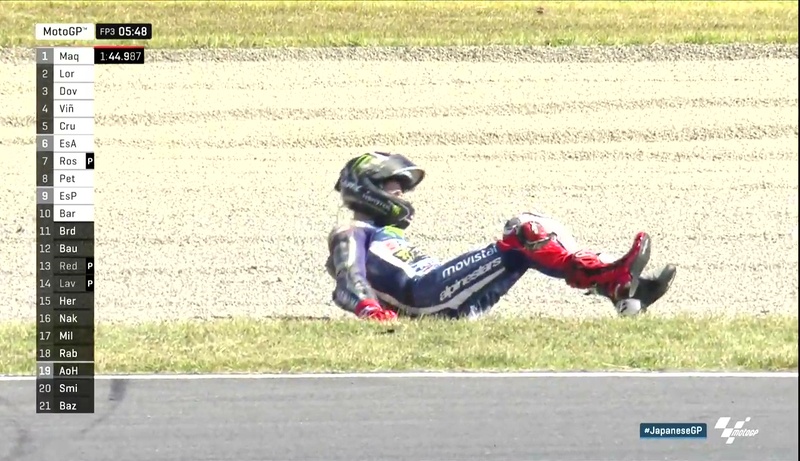 Lorenzo remained P5 despite missing out on a fast time attack at the end of the session. 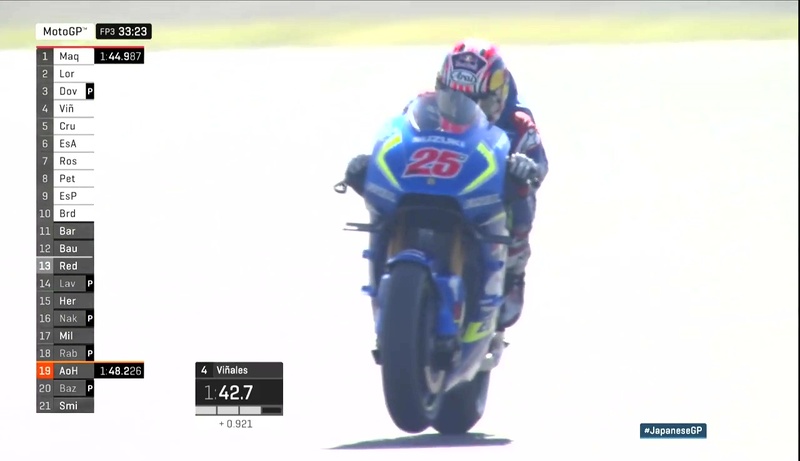 The two Team Suzuki Ecstar machines of Aleix Espargaro and Maverick Viñales were sixth and seventh heading into Q2, with 9-time World Champion Valentino Rossi (Movistar Yamaha MotoGP) ending up eighth on combined times. 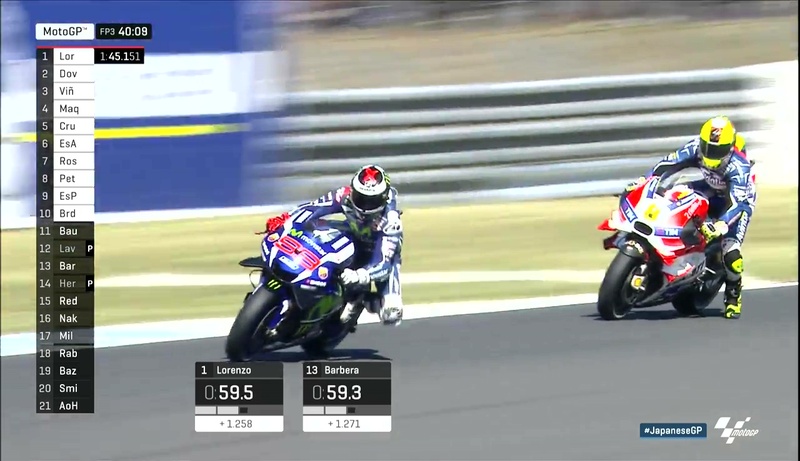 Pol Espargaro (Monster Yamaha Tech 3) was ninth and into Q2, with Danilo Petrucci (Octo Pramac Yakhnich) completing the top ten for automatic entry into the fight for the top grid positions. 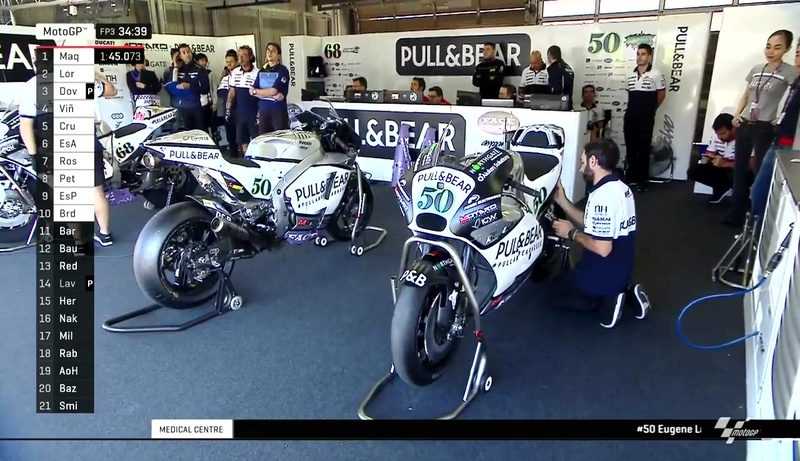 Eugene Laverty (Pull&Bear Aspar Team) didn’t ride in FP3 awaiting another check up ahead of FP4, after the Irishman had a big crash on Friday afternoon.